European Council President Donald Tusk urged Britain's re-elected Prime Minister David Cameron on Friday to make a case for retaining Britain's EU membership. “I am deeply convinced that there is no better life outside the European Union, for any country. A better EU is in the interest not only of Britain but of every member state,” he added. Tusk, who is a former center-right Polish prime minister and now heads the forum for the EU's 28 member states, said that Britain played a key role in ensuring that Europe had a “common sense agenda.” He also emphasized the need for a competitive economy, an effective single market and free trade. 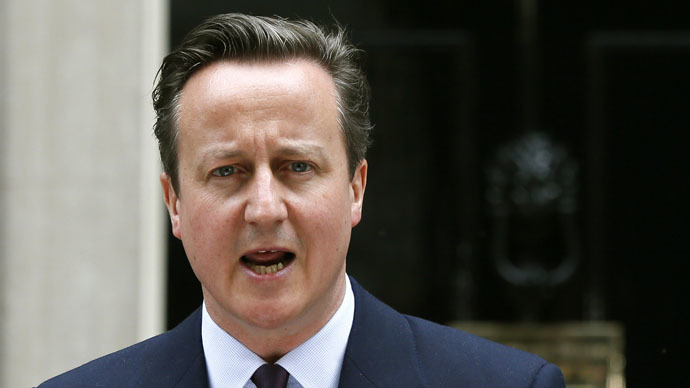 Cameron has promised to hold a referendum on Britain’s EU membership in 2017. Congratulations from leaders around the world have poured in the wake of Cameron's general election triumph on Friday. Spanish Prime Minister Mariano Rajoy of the Conservative People's Party called the victory a “deserved recognition of his decisive reforms.” Israel’s Prime Minister Benjamin Netanyahu also congratulated Cameron. However, former Kenyan prime minister Raila Odinga sent a consolation message to defeated Labour leader Ed Miliband. “Democracy is a process. It is not [like] instant coffee that you brew and drink at the same time. So there is always another time,” he said.